Here in Tennessee the Bell Witch is a big deal. I remember as a kid we all knew the legends. 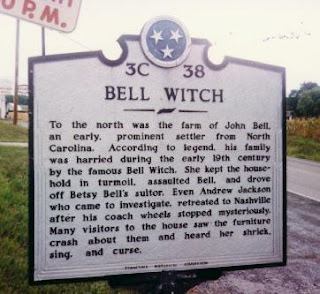 There was a witch that supposedly existed in Tennessee, and she haunted the Bell family, even killing one of them. Legend said if you went into the bathroom, turned off all the lights, and slowly turned in circles repeating "I don't believe in the Bell Witch" ten times, she would appear in the mirror and attack you, clawing your face. At least that's the way I remember it. I have heard other similar versions of this kids' tale repeated by various people who grew up in these parts. In Elementary school one year we took a field trip to the Children's Theater in downtown Nashville. I remember loading into the buses and riding across town to see the "Bell Witch" play they were performing. Scared the beejezus outta me. They had a blackout toward the end accompanied by a bloodcurdling scream, if I remember correctly. It was so cool! All the kids talked about it for weeks. People held seances to try and conjure the Bell Witch. It was big stuff. The Bell Witch is a legendary haunting that supposedly took place in the area of Tennessee now known as Adams, Tn. Supposedly the Bell family was beset by a demonic force, a poltergeist which haunted them and terrorized their family. In particular it attacked the daughter, Betsy, slapping her face, pulling her hair, pinching and scratching her. The spirit was witnessed by a number of different people, and well documented. 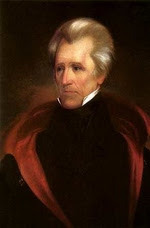 President Andrew Jackson supposedly saw it firsthand, and afterwards said, "I'd rather fight the British than spend the night in the Bell house." Legend says the spirit attacked the father, John Bell, and eventually drove him to his death. John Bell was struck with an illness which left him with difficulty speaking. His health slowly declined until he eventually died. According to legend John's medicine was switched with a bottle of poison. The witch claimed she had replaced it and poisoned John. Supposedly the spirit disappeared for a while, but returned again years later, to haunt John Bell's son. 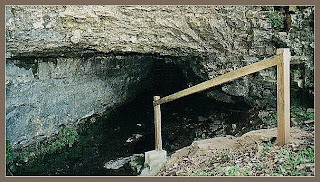 On the grounds formerly owned by the Bell family there is a tourist attraction called "The Bell Witch Cave." When I first started my TV show, I shot my second episode there. For Episode One I hosted a friend's movie filmed in nearby Murfreesboro, TN. The very next episode I went to Adams TN and toured the cave, interviewed the owner, and talked about the legend of the Bell Witch!! I couldn't wait to highlight the Bell Witch! It is rumored that strange activities still take place on those grounds to this very day! 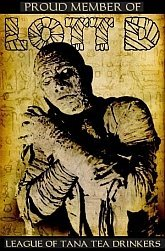 I have taken several friends there, including fellow horror host Count Gore DeVol when he visited a few years ago. Needless to say, I have a bit of a personal attachment when it comes to the Bell Witch. That is our legend, a Tennessee tale that we're proud of. So it was with great interest that I finally sat down and watched AN AMERICAN HAUNTING last night. AN AMERICAN HAUNTING was filmed in 2005 and released in 2006. It was written and directed by Courtney Solomon, who's only previous directorial experience was the 2000 film DUNGEONS AND DRAGONS. It was based on the book "The Bell Witch: An American Haunting", by Brent Monohan. 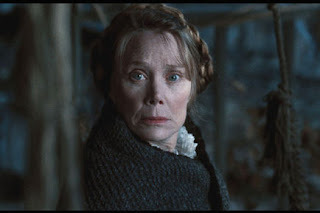 It stars Donald Sutherland as John Bell, Sissy Spacek as his wife Lucy, and Rachel Hurd-Ward as Betsy Bell. WARNING: There's gonna be spoilers from here on out. As the mother begins reading from the journals we flash back to the Bell family in the 1800s and follow their story. Occasionally the film jumps back to present day, to remind us this is a narrative. 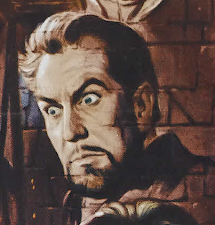 John Bell angers a woman named Kate Batts, who is rumored to be a witch. They have a land dispute which is settled in court, but not to Kate's satisfaction. She promises she'll get revenge. Shortly thereafter the hauntings begin. At first these are fairly harmless: mysterious sounds in the night and covers being yanked off the bed, but later physical attacks begin, mainly upon Betsy. She is drug around the house by her hair, raised off the ground by the hair, slapped, and thrown across the room violently. Eventually Betsy's school teacher tries to help, staying at the house and at first attempting to explain away the disturbances until he no longer can and becomes a believer. Eventually John Bell becomes sick, on the brink of dying, and the true secret of the manifestations is revealed. John Bell has been molesting his daughter Betsy. When his wife finds out she is grief stricken, and poisons him. He dies and is buried, and shortly thereafter the spirit disappears. We are then told that Lucy suspects it was no spirit after all but a part of Betsy herself she conjured forth as a defense mechanism against her father's advances. We then cut back to present day, where the girl is leaving for the weekend visit with her father. As the door closes, the mother sees a vision of the ghost of the Betsy Bell and realizes HER daughter is also being molested by her ex-husband, and runs screaming after their car, chasing them down the driveway! End. I was lying in bad with my wife watching this, and afterwards I turned to her and said, "You know, I think I hate this movie." The writer/director, Courtney Solomon, is a native Canadian, and that perhaps explains why this was shot on location partly in Canada. But why it was also shot on location in Romania is beyond me. Maybe someone can explain to me why, when you are making a movie about the Bell Witch, a legend of Tennessee folklore, you don't shoot it on location somewhere in the state of Tennessee. I understand that the owners of the Bell Witch cave now refuse to let anyone shoot on their property. Fine. Film it somewhere else. They probably could have gotten any number of locations in the nearby area for free – there are plenty of people who wouldn't mind the Bell Witch movie being shot on their property. I realize this is nit-picking to some degree, but a real opportunity to lend some legitimacy to the film was missed, not to mention a great promotional opportunity. Instead they shoot it in Canada and Romania, and honestly, it just looks wrong. The trees are obviously not the type we have here, the surroundings look nothing like Tennessee –even the woods are foreign looking. We NEVER get the size snow you see in this movie here in Tennessee. Heck, they close the schools if we get an inch of snow, no joke. It was in the 60s here last week. But all of that is forgivable when compared to the movie itself. The wrap around story was ridiculously cliché. It was so clumsily handled it was laughable, especially at the end when Betsy's ghost appears and she runs screaming down the driveway. The premise of these books sitting up in the attic for whatever reason is never explained, the connection to the Bell family hinted only through the mother's glances to the framed picture. I could have taken this movie much more seriously without these wrap-around bits. The movie had some suspenseful moments, and some creepy effects. But these were ruined when the source of the troubles is revealed. It felt like a real cheat, some poor man's M. Night Shyamalan. To quote a recent South Park episode where military leaders consult M. Night Shyamalan for ideas to solve a dire dilemma - "No sir, I'm sorry, those aren't ideas, they're a twist!" I don't know how closely this film follows the book, but the premise of child molestation was just really a cheap shot. Nowhere has there ever been any indication of foul play on the part of John Bell, and the insinuation that Lucy poisoned him is equally undocumented. To top it all off the grand cheesy moment comes in the form of several "ghost-cam" shots, where we slip into the viewpoint of the spirit tormenting the family, moving throughout the house, and actually flying across the countryside at high speed at one point chasing some of the family who are trying to escape in a carriage, complete with requisite growling and evil sounds, of course! To be fair, I realize this isn't the most un-biased review. Hey, you got me. I'm a native Tennessean, born and raised here, and we like our legend. 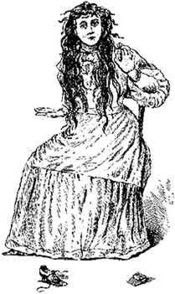 Here's the real basis of the myth: Kate Batts was the Bell Witch, she was angered by John Bell, released a spirit which haunted and tormented the family, ultimately leading to John's death. It was well documented, even seen by Andrew Jackson (of whom there is no mention in this film). THAT is your story. Shoot that, not some BS that belongs on the Springer show. And you know, I think when it's all said and done that is what disappoints me the most about this. There is a really creepy and scary story to be told here, but the filmmakers missed the mark and went the cheap exploitative route instead. You know what - I hope the ghost of John Bell visits Courtney Solomon and Brent Monohan for slandering his good name. How's THAT for an American Haunting? !